Coming from a local community near Lapalala, Lizzy has an intimate knowledge of the needs of learners and community members in the area. 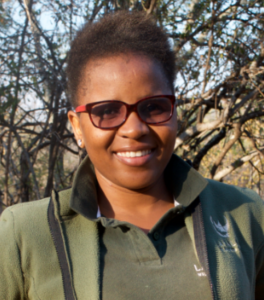 She joined Lapalala Wilderness School in 2005 through a learnership programme and, since then, her knowledge for EE has steadily grown, as has her interest in birds and birding. In her role, Lizzy explores options and implements initiatives to expand our community school outreach programme and enhance its effectiveness.